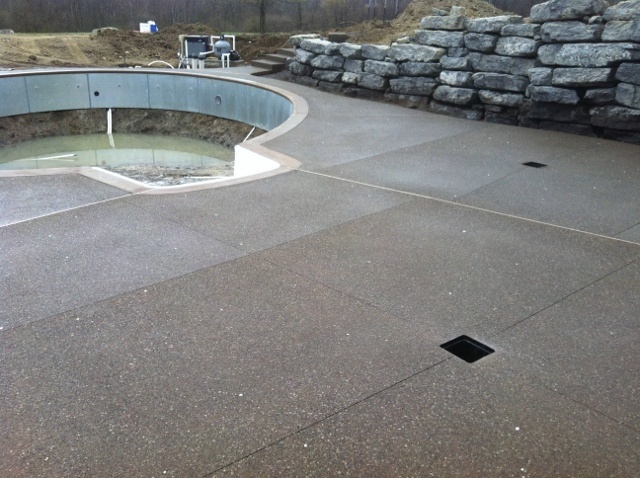 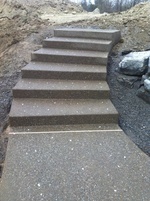 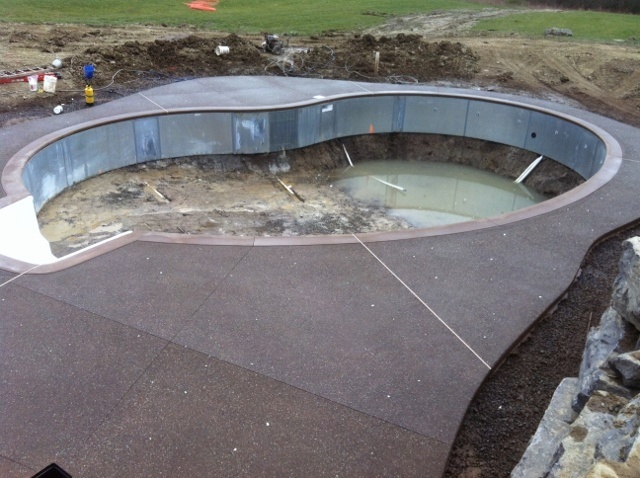 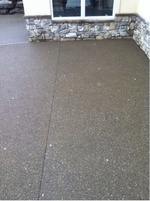 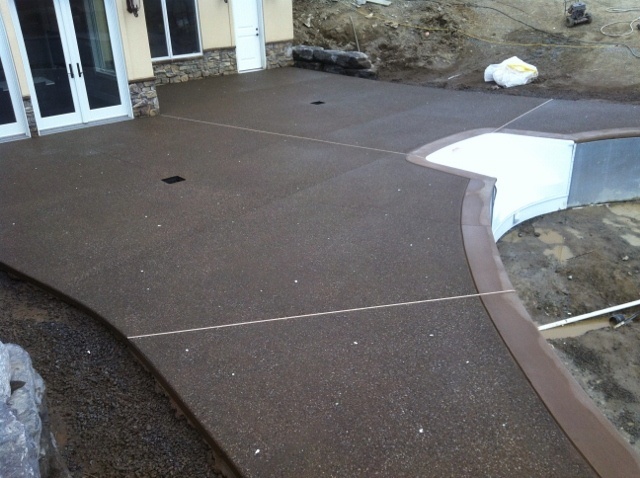 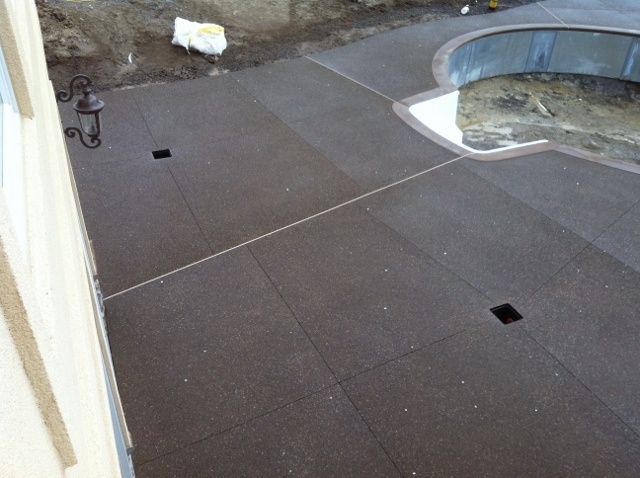 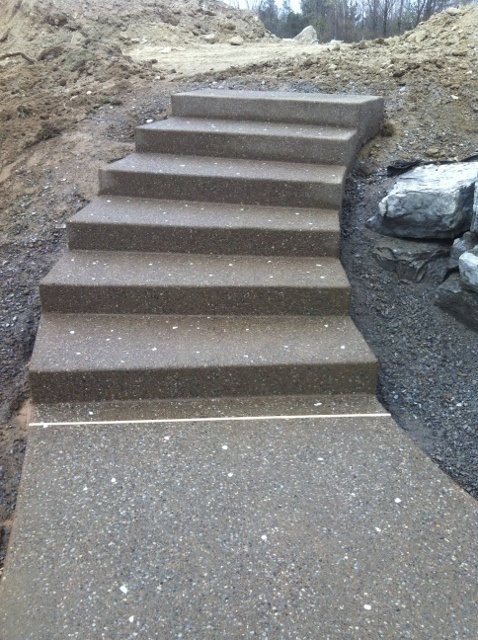 Exposed aggregate pool deck with a fine broomed tan concrete border outlining pool. 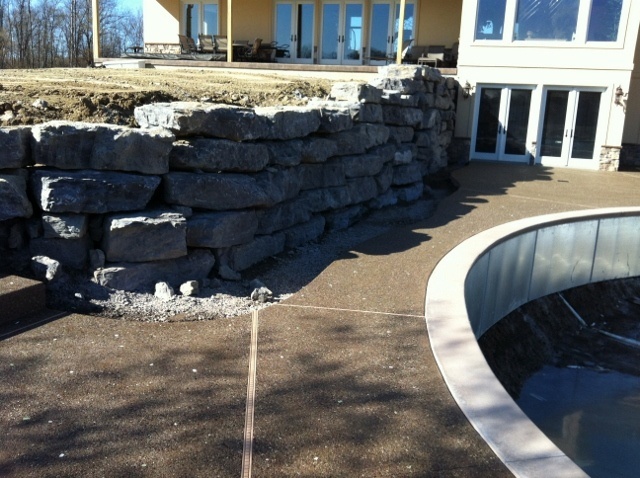 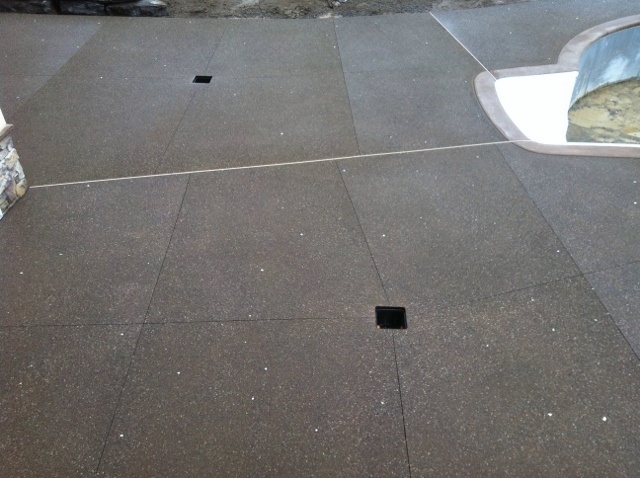 Small multi-colored gravel used in pool deck is accented with glow-in-the-dark rock throughout. 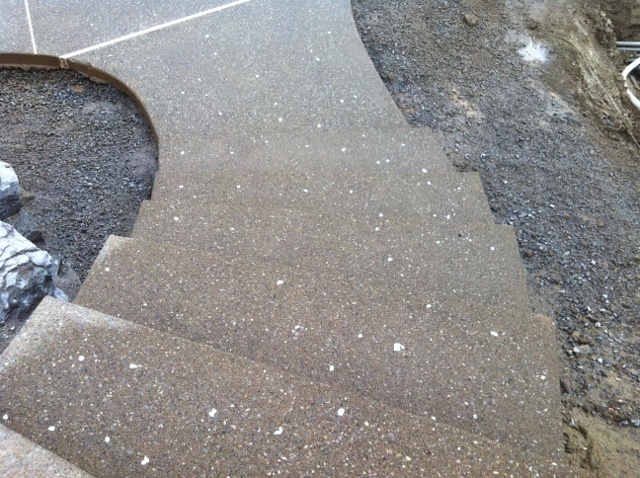 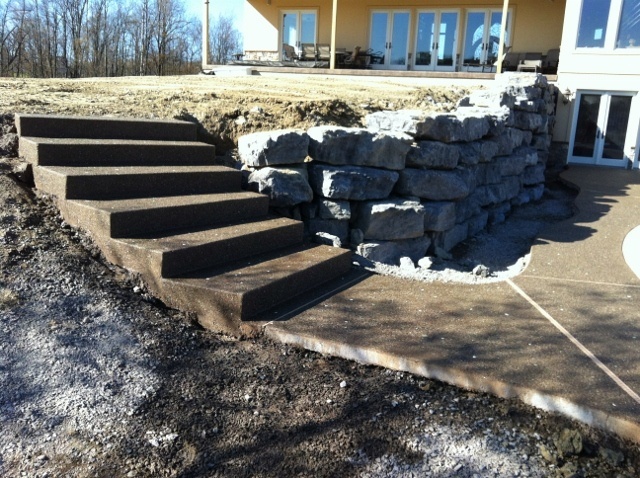 The curved staircase from pool deck leading to backyard is also accented with glow rock for highlighting steps for nightime visibility.